3D Drumchapel seeks to make a difference in the lives of children and families in Drumchapel by providing support, strengthening relationships and empowering families to make positive change. We offer a range of both universal and targeted programmes and sessions, focusing on building strong family foundations, promoting self esteem,developing support networks, enabling positive parenting and child development and promoting improved health and well-being. We also lead the Drumchapel Early Years Network which brings together professionals working with children 0-8 years and their families across Social Work, Health, Third Sector, Education, Glasgow Life, Housing and the Police. We have been serving children and families in Drumchapel for 20 years. 3D Drumchapel provides Play on Pedals sessions and has a fleet of Play on Pedals bikes. Contact 3D Drumchapel to find out what they are able to offer. Al-Meezan, Bellahouston – Originally established in 1998 by a small team of dedicated women, today Al-Meezan provides Islamic education to over 600 women, teenagers, and children from Glasgow and the surrounding areas. 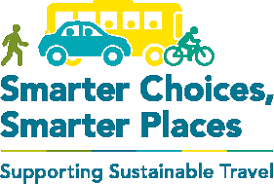 Al Meezan has been successful in recent years in obtaining funding from the Scottish Government’s Climate Change Fund, and their most recent project focuses on sustainable transport including cycling, food growing and composting and resources re-use/upcycling. Al-Meezan has a fleet of Play on Pedals bikes. Contact Al-Meezan to discuss their current programme of activity. Castlemilk Day Nursery is a local authority nursery based in Castlemilk. They work closely with local nurseries to offer support and assistance to loan bikes, provide guidance and signposting to resources. 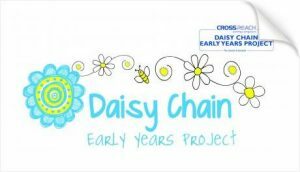 CrossReach’s Daisy Chain Early Years Project in Govanhill uses play based interventions and family support to see the children of Govanhill thrive. We build genuine relationships with children and families, creating a safe and caring environment where parents can recognise their strengths, be the best they can be and give their children the best start in life. The project opened in December 2011 as one of CrossReach’s’ Children & family services; the project aims to promote the nurturing relationships between parents and their children through play and literacy based activities, promote the learning and development of children, and provide early intervention for families who request extra support. We are able to offer Play on Pedals bikes to local nurseries on a loan basis and are able to assist with signposting to local bike shops/mechanics. 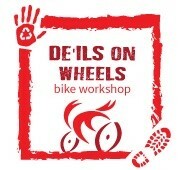 De’ils on Wheels in Scotstoun is a community bike workshop. It sells affordable reused bikes and spare parts, services and repairs bikes, promotes and encourages cycling and offers a range of cycling skills development services. De’ils On Wheels is a Revolve accredited reuse organisation and a project of Dumbarton Road Corridor Environment Trust (DRCET). Dumbarton Road Corridor Environment Trust (DRCET) delivers a range of environmental projects and services across the west of Glasgow and beyond. DRCET protects and enhances the local environment and increases the well-being and resilience of local people and communities it works with. DRCET has been recognised as a Super Hero Organisation. They are able to offer support and guidance to local nurseries on sourcing bikes, getting bikes maintained and other Play on Pedals sessions running in Glasgow. (FARE) Family Action in Rotherfield and Easterhouse is a voluntary organisation based in Easterhouse in the east end of Glasgow. 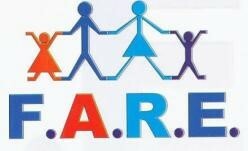 FARE works within communities to improve the lives of children and families living in disadvantaged neighbourhoods. FARE brings together people of all ages to build positive relationships and trust. They have a fleet of Play on Pedals bikes and can be contacted for bike sharing purposes with nurseries. FREE WHEEL NORTH is a cycling development charity based in Glasgow Green, providing services including special needs and inclusive cycling, social rides for all ages, teaching of beginners, campaigning and outreach events. Play on Pedals runs drop-in sessions at Free Wheel North and Free Wheel North have a large fleet of Play on Pedals bikes which can be loaned to local nurseries if needed. 3) To help the environment by recycling and by promoting cycling as a means of transport. Bike for Good is able to offer support and guidance on bike maintenance for nurseries and signpost to other organisations local to you to support with bike fleet maintenance / bike purchasing. 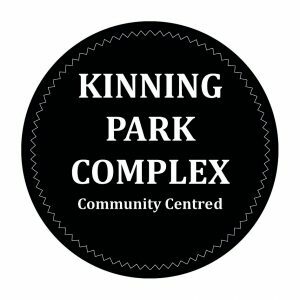 Kinning Park Complex is an independent multi-use community centre. Run by the community since they had to step in to prevent closure of the facility by the local Council in 1996. KPC maintains and rents out halls, meeting rooms, studios and office spaces at affordable prices where people and groups can put their ideas into action. KPC also manages community development projects in the local area. Projects include bike building and gardening as well as cooking. KPC are able to offer support with bike maintenance at their regular bike mechanic drop in sessions, bike loans to local nurseries of their Play on Pedals bike fleet as well as running Play on Pedals drop-in sessions and their own, in house, cycle sessions. Lambhill Stables runs outdoor activities such as canoeing and mountain biking from its centre in the North of Glasgow. The charity collects unwanted bikes to fix and set into the local community. Through Play on Pedals, trained instructors from the Stables are supporting local nurseries to deliver, as well as hosting on-site community events. South West Community Cycles, Pollokshaws West, aims to help relieve poverty, improve the health and education of local people and protect the local environment through the provision of affordable bike-related services and activities. South West Community Cycles has been recognised as a Super Hero Organisation. SWCC has a fleet of Play on Pedals bikes they use at SWCC events. They are very supportive of local nurseries and are able to offer bikes on a loan basis. SWCC can offer support and guidance on bike maintenance and signposting to other bike related services. 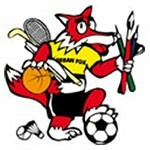 The Urban Fox Programme, Parkhead, is a voluntary managed project, providing young people within the East End of Glasgow with a wide range of educational and diversionary activities. These include supervised sports and leisure programmes, health and social education guidance programmes, IT training, as well as many other structured learning programmes. All these programmes are all designed to provide young people with the skills and confidence to make positive decisions about the issues and influences they may face growing up in the East End. Through attendance at the many available Urban Fox Programme initiatives, the programme aims to promote self-development and to raise self-esteem in it’s young members. Urban Fox works closely to support local nurseries and offers advice and guidance on bike maintenance. Urban Fox has also been running Play on Pedals drop-in sessions and has their own fleet of Play on Pedals bikes. 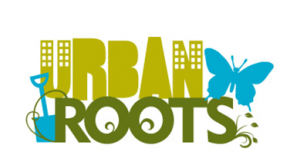 Urban Roots, Toryglen, is a community led organisation working across the Southside of Glasgow. It is committed to working with local people on projects that improve the environment and health of the area through a range of activities including community gardening, conservation and biodiversity, and planet friendly living. Urban Roots aims to inspire people and communities to connect with nature. Urban Roots has a fleet of Play on Pedals bike they can loan to nurseries in the local area. We are also supported by Glasgow Life and Glasgow Sport in using their facilities at Scotstoun – this is very generous of them and sessions in Scotstoun are always very well attended! A huge thank you goes to our hero organisations and other groups we work with!